Puglia is renowned for its delicious cuisine, made from fresh, locally grown ingredients. If you feel like having a day off from cooking then why not let someone else do it for you? We can organise a chef to visit your villa and cook for you or take part in some Puglia cookery classes and learn how to prepare some typical dishes which you will eat later accompanied by fabulous local wine. Or you could have a fun night with our pizza party where we prepare the pizzas and you have the party! If there is a special occasion to celebrate then we can organise it all for you, from a wedding feast to a birthday or anniversary. 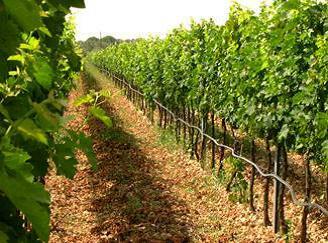 We can also organise wine or olive oil tasting tours if you feel like uprooting yourself from your masseria! 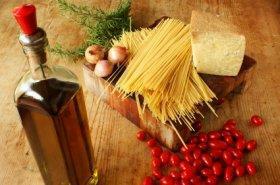 Chef Simone will teach you the secrets of Italian and local cuisine using traditional and modern innovative recipes. He can come to your home to cook a sort of “tasting map” of the area for you and your friends using a variety of dishes. All the ingredients come from trusted organic farmers, local fishermen, mills and dairies. The meals are prepared using only seasonal, local ingredients. Tailor-made menus can be created for special events like weddings, birthdays, meetings, anniversaries and so on. Let us help make your dreams come true! An interior designer can set up the location; a graphic designer can create personalized place cards; renowned local traditional artists and musicians can share their cultural roots and innovative ideas with you. And of course there will be serving staff available throughout. You’ll learn about Salentino and Italian cooking and pick up the basics of Italian cuisine by making local traditional dishes. 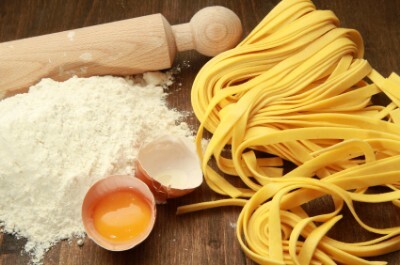 Learn how to make pasta. Transform courgettes into a delicious sauce for lasagne. Chef Simone will share techniques, stories, feelings, tips and local culture. The classes are suitable for everyone even if you have a special diet (vegetarian, vegan, gluten-free) or aren’t gifted in the kitchen! 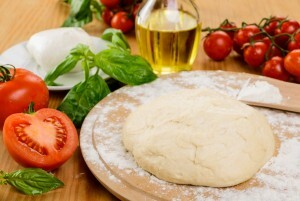 Enjoy a authentic home-made pizza at your villa! Alessandro is a fantastic pizza cook who will delight you with amazing pizzas, cooked in the traditional stoned wood-burning oven you’ll find at your villa. All types of pizza are available. He will be happy to make you some local appetizers and dessert too, if you like. Take a tour and taste some wine. What could be better? 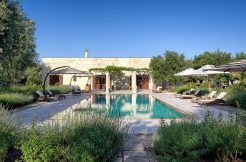 L’Astore Masseria, situated in Cutrofiano (LE), is an enchanting 100-hectare farm estate and was one of the original masserie (traditional courtyard farms) in Salento. There is an underground wine cellar built in typical Salento style situated next to an impressive olive oil pressing room, built in the 1700s. With stunning star-vaulted ceilings created from local limestone and sheer beauty and charm, it’s little wonder that many visitors describe it as one of the most attractive and inviting wine cellars in all of southern Italy. The grape varieties include Petit Verdot, Aglianico, Merlot, Cabernet Sauvignon, Montepulciano, Syrah, Negroamaro, Primitivo, Chardonnay and Malvasia Bianca. The tour lasts about two hours and includes a visit to the vineyards, the oil press and the ancient underground wine cellar. The tour concludes with some local delicacies and – of course – wine tasting! Yes, there is such a thing as olive oil tasting and you can experience it for yourself if you book this tour with Alèa in Martano, whose exquisite extra-virgin olive oil is renowned in the region and beyond. As a matter of fact, Alèa is in charge of collecting and pressing the olives from the trees in the grounds of the masseria where you are staying for your holiday. 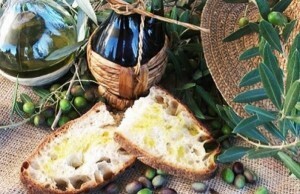 The oil is produced from Ogliarola and Cellina olives which are harvested during the first weeks of November when they have just matured. They are then taken to the modern press, which still uses age-old methods to preserve the nutritional content of the olives as well as the taste and scent of the oil.